As regular readers will know, the "Skyfall" crew were up in Glencoe, Scotland, on 9th February 2012 to shoot on location with Daniel Craig, Dame Judi Dench, and the famous Aston Martin DB5. In the original novels by Ian Fleming, James Bond's father had hailed from Glencoe. The author was also known to love the area. 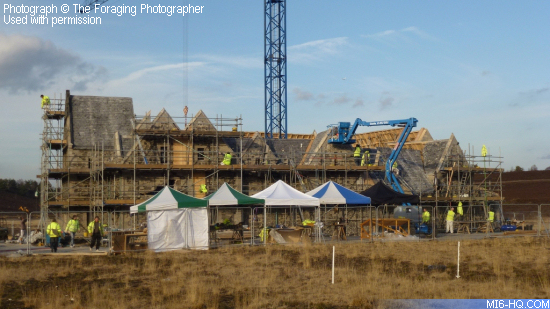 Due to the story requiring the old Scottish estate to be attacked and blown up in the film, the production has built a recreation of the building on Hankley Common in Surrey on land owned by the Ministry of Defence. 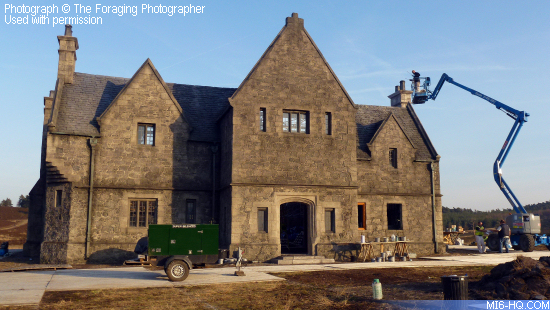 The main building is called Skyfall Lodge, and explains the 'geographic reference' the title has in the film, as producer Barbara Broccoli mentioned late last year. 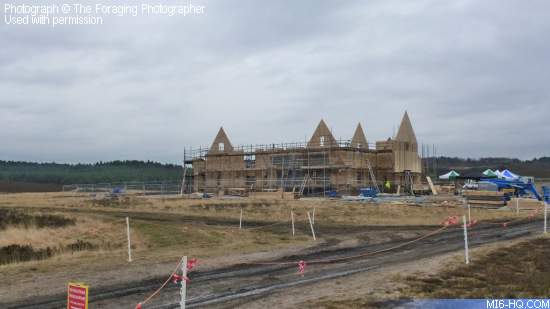 The construction includes the main lodge, a small chapel, and a grand gated entrance. After M and Bond flee London in the third reel, 007 takes her to his family estate and discusses his childhood, before things take another turn for the worse when Javier Bardem's villain Silva turns up. 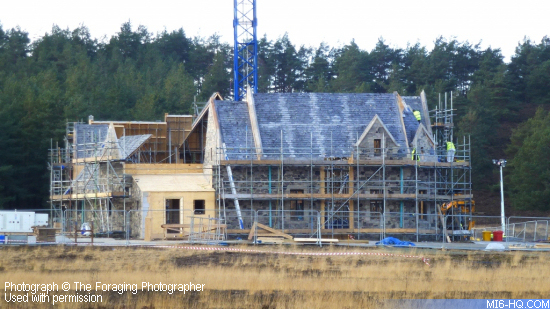 Progress in constructing the Scottish estate in Surrey has been tracked by photographer and blogger Lucy Browne since early February. 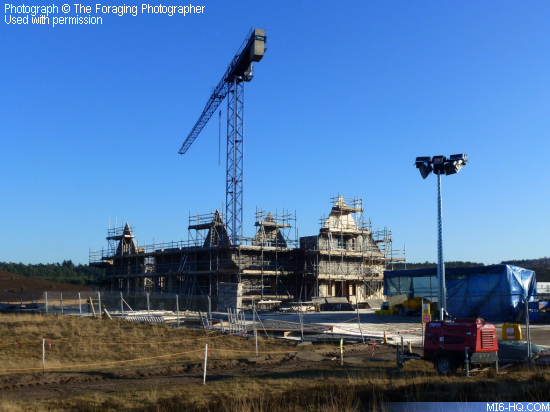 The building is almost complete now, with main unit filming scheduled to start on Tuesday, weather permitting. Visit The Foraging Photographer's blog for more photos from the "Skyfall" set in Hankley Common.